After a very sudden and unexpected change of plans during our travels in the Philippines, we found ourselves in Manila for Easter weekend. We were aware that the Semana Santa was a big deal in this country, but I had never imagined that I would be spending the day I normally reserve for making figolli (that’s an Easter sweet for the benefit of our non-Maltese readers), watching humans getting nailed to a cross. 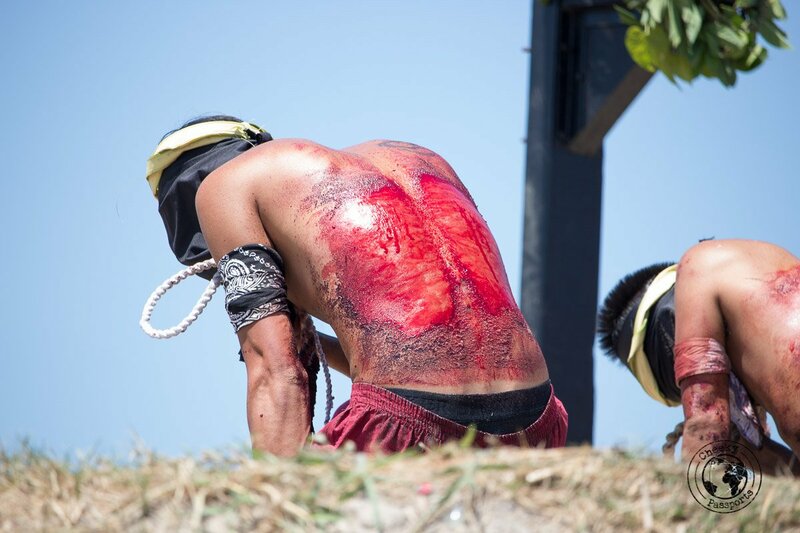 So, if watching self-flagellation and people getting crucified is your thing, here’s a guide to the Good Friday Crucifixions in San Pedro Cutud, a district of San Fernando, Pampanga, about 70 kilometres away from Manila. 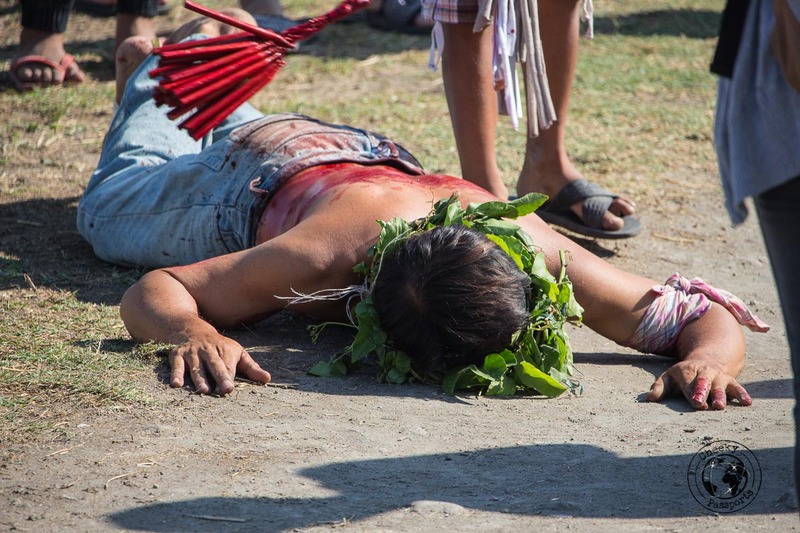 First of all, we need to warn you that if you, in any way, cannot stomach the sight or the smell of blood, it would be best to stay away from San Fernando on Good Friday. Also be warned that this post contains graphic imagery and descriptions which might prove to be disturbing to some people. You might want to stop reading at this point. Related: or lighter reading about the Philippines, follow this link. Our first challenge was to find a way of getting to San Fernando from Manila on Good Friday. When we asked our hotel receptionist about using public transport to the site, she gave us a dubious look and advised us to leave very early. We tried to reserve bus tickets beforehand but this was not possible. On the day however, we woke up at 3.30am and managed to take a bus from the Cubao Terminal in the Quezon City area of Metro Manila at 6am which stopped us near the SM Mall in San Fernando. Read our dedicated post on how to get there! 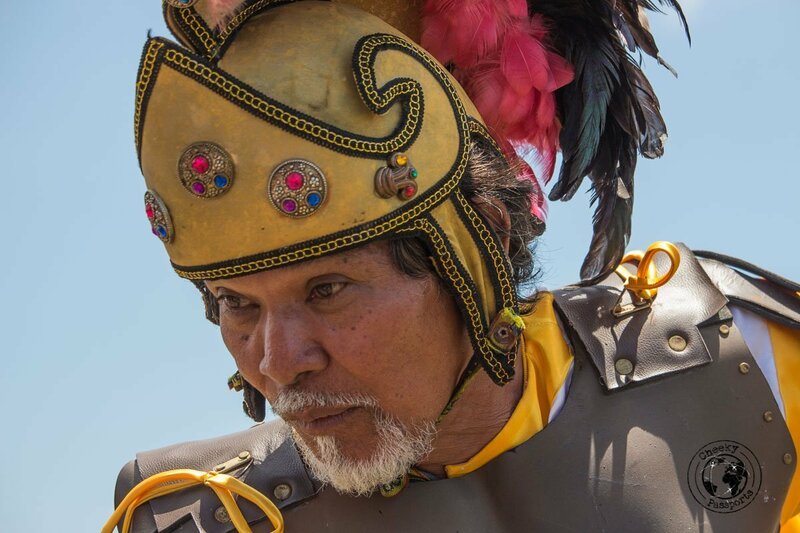 The Maleldo Festival is a Holy Week re-enactment of Christ’s passion. 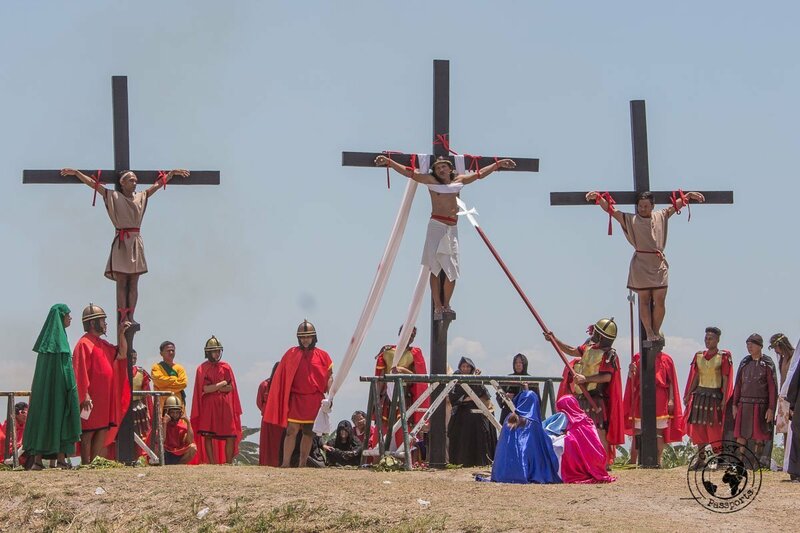 There are three crucifixion sites in San Fernando, the most popular being that in barangay (district) San Pedro Cutud due to its location bearing some resemblance to the original Calvary. 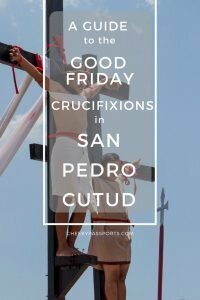 Crucifixions take place at different times (according to location) throughout the day, but we went directly to San Pedro (the final site) so as to secure a good place from where to watch the procession. We were there at approximately 9am even though the procession was not expected to commence until midday. We used a jeepney and then a trike to get to barangay San Pedro Cutud from the SM mall in Pampanga. You can read a full description of the directions including transportation costs here. 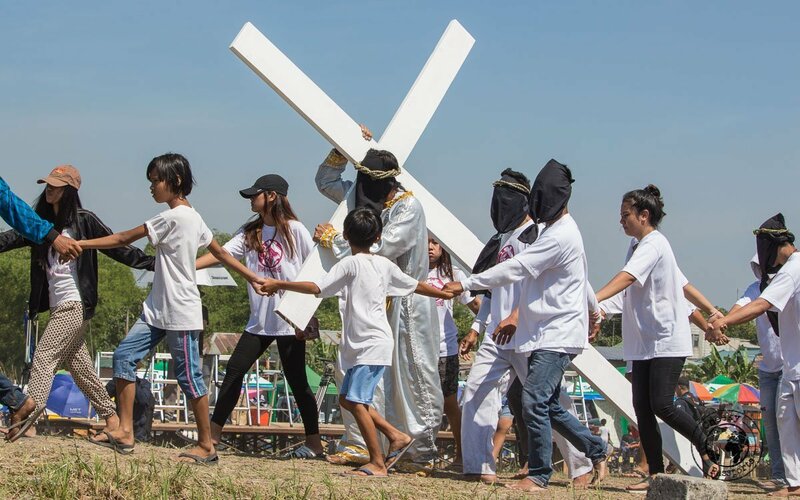 As soon as we started walking along the road to the Crucifixion site in San Pedro Cutud, we noticed that we were practically the only foreigners among thousands of Filipinos wearing “Jesus” t-shirts and wearing leafy crowns. What was weird was that they all seemed to celebrating a happy event, whilst we had expected the activities to be rather sombre. Ice-cream vans jingled up and down the road continuously and the site was lined with fast food stands selling all kinds of snacks. The walk had already tired us out. It must have been close to 40ºC that morning and we were sweating copiously; Gatorade became our new best friend. 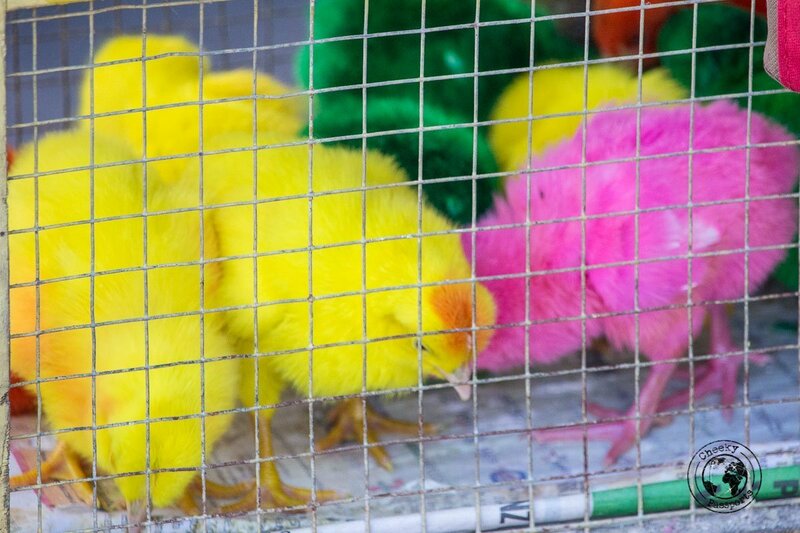 During the walk we also observed stands selling bags with swimming goldfish and brightly colored (dyed) baby chicks cooped up in little cages. Unfortunately, on the way back, we noticed that many of them had died probably due to over-exposure to the heat. Please refrain from supporting animal cruelty by declining to purchase such items! It is very important to stop at the town hall on your way to the crucifixion site. 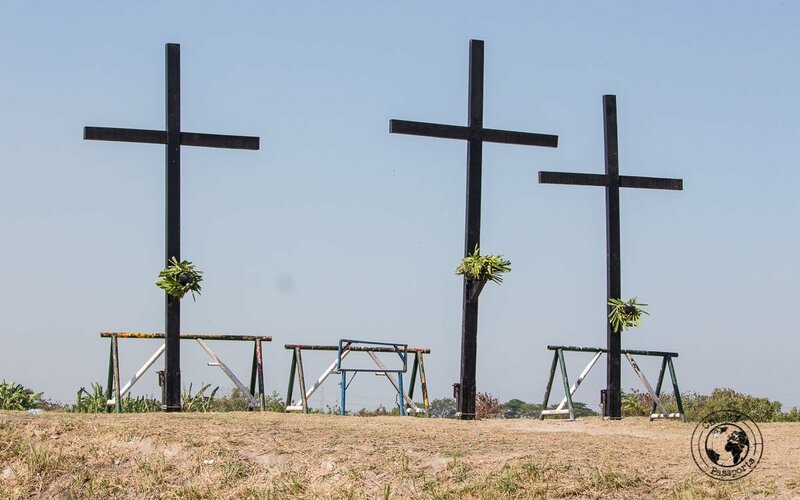 Here you will be given a VIP sticker and your arm will be marked with a rubber stamp, which will give you access to the tented VIP area close to the crucifixions, offering the best views. Registration is completely free of charge. The tented area was directly opposite the press area which was exposed to the scorching sun. There was no way we would have survived that…staying out in the sun was itself an excruciating activity! 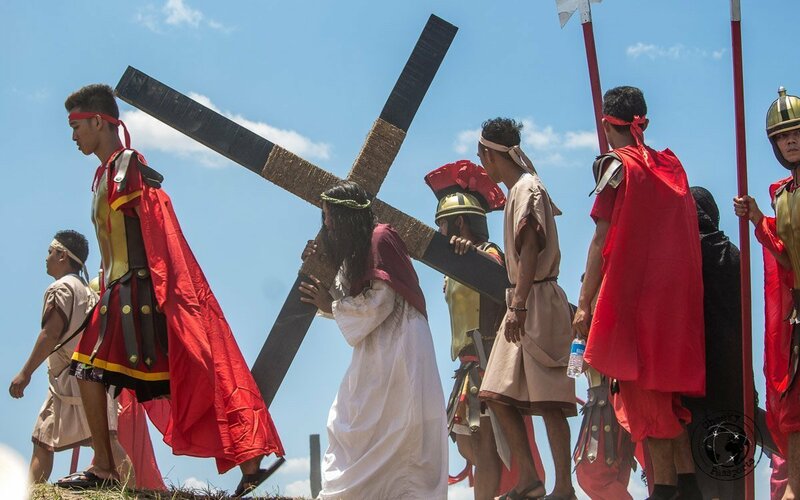 Reaching the San Pedro Cutud Crucifixion site was the final goal for all penitents. 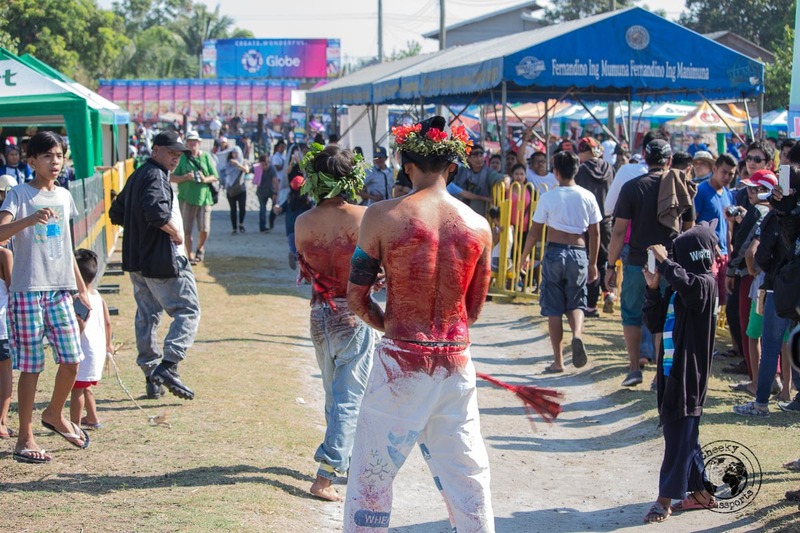 By the time we arrived (9 am), penitents flogging themselves with bamboo sticks (which had been stained a deep red from the blood), had already started walking up to the site. 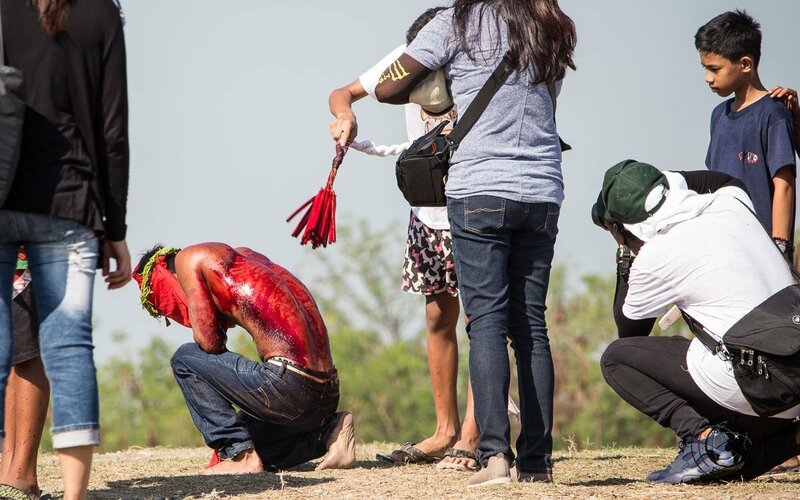 Self-flagellating penitents who had been walking the same road we had walked, made their way to the crosses set up on hillock a few meters from where we were seated, and kneeled for their final prayers, whilst their family members (or close friends) were asked to whip them with a rope, bamboo stick, or even flipflops, whatever was more convenient. 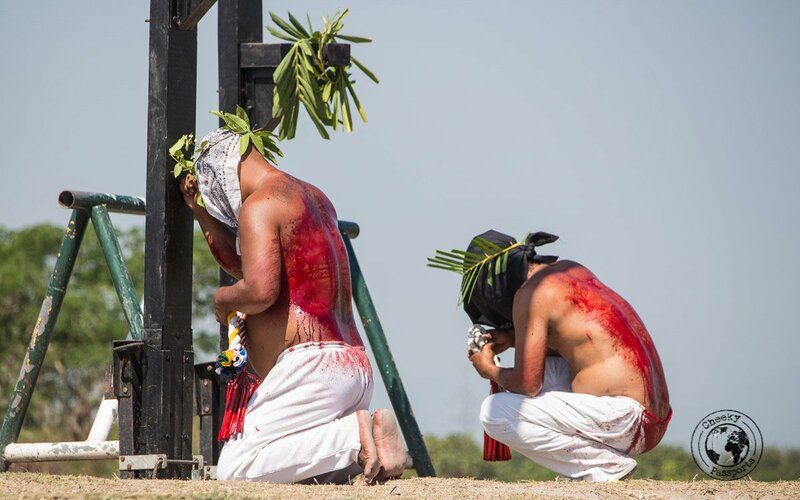 At that stage, the penitents placed the leafy crowns they were wearing on their heads (symbolizing Christ’s Crown of Thorns) at the foot of the crosses. At that point the ritual was complete, and the penitents returned safely home for some medication and TLC. I found it quite difficult to watch this part of the procession. 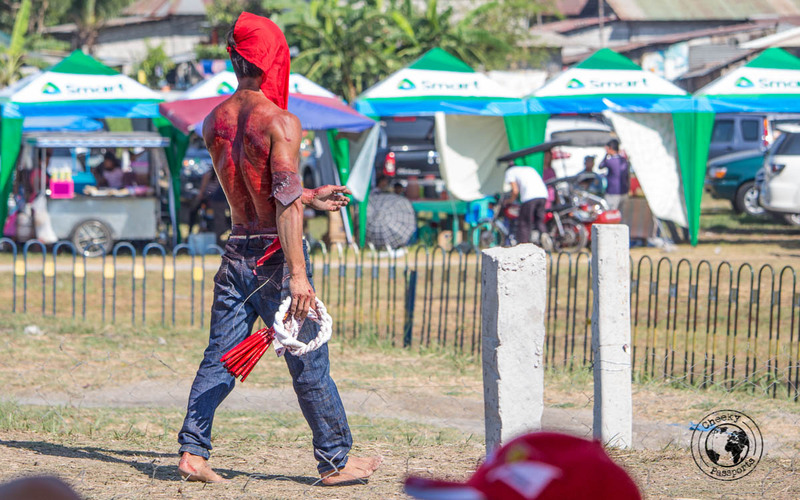 The large quantity of bright red blood on the penitents’ backs had completely soaked their trousers and was already caking on their ripped skin. Many of the penitents showed signs of pain in their actions and gestures, whilst some were visibly exhausted, with a few fainting on the way because of the heat and blood loss. There was a strong smell of blood all around and getting close to the penitents carried the risk of getting stained with their blood. 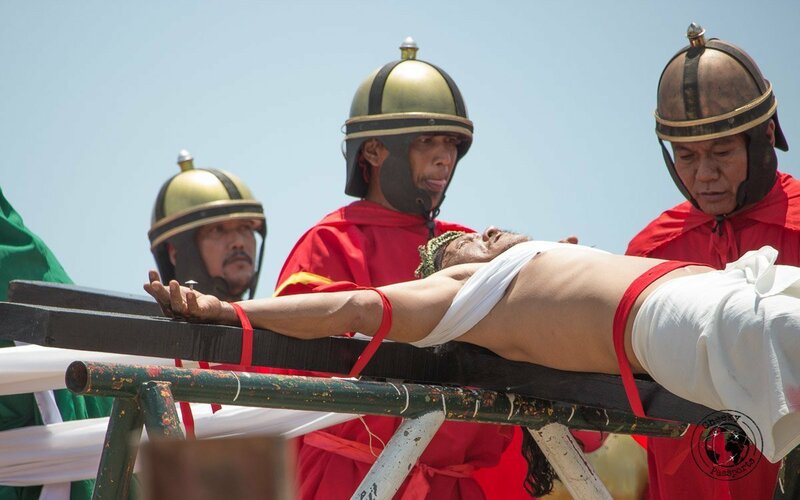 The culmination of the event was the actual Via Crucis re-enactment which was scheduled to start at around midday. 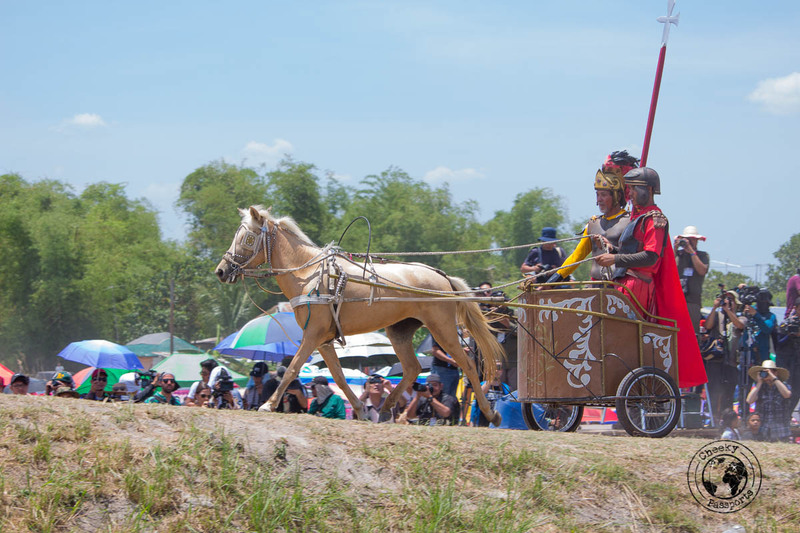 “Christ” and the Biblical characters were led up the hill by “Roman Soldiers” mounted upon horses and chariots. 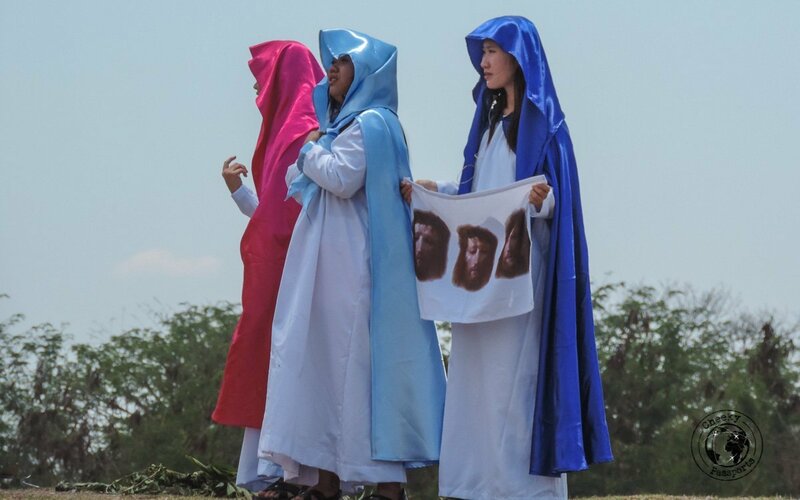 The entry was accompanied by loud amplified dramatic music, together with the sound of a wailing woman (impersonating Holy Mary) which was transmitted throughout all of the procession and crucifixion. 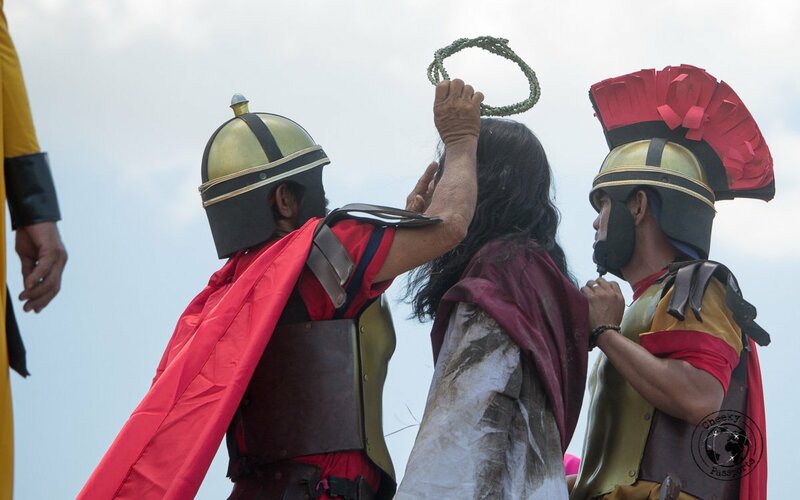 At one point we noticed that the entourage was also accompanied by “spare” characters, mainly Christ, presumably ready to take the place of Ruben Enaje (the leading figure) if the latter was unable to go through with the crucifixion. The actual crucifixion lasted only a few minutes. Although we were seated close, we could barely appreciate what was going on while the main character was having nails driven through his limbs. Indeed, the nailing happened so fast and was surrounded with so much clutter (from the supporting characters) that one could only assume what was happening by the loud screams of the main character. This, we have to say with no disrespect to the people involved, was in no way difficult to watch. Only when we reviewed and zoomed in on the photos did we truly appreciate what had really happened. 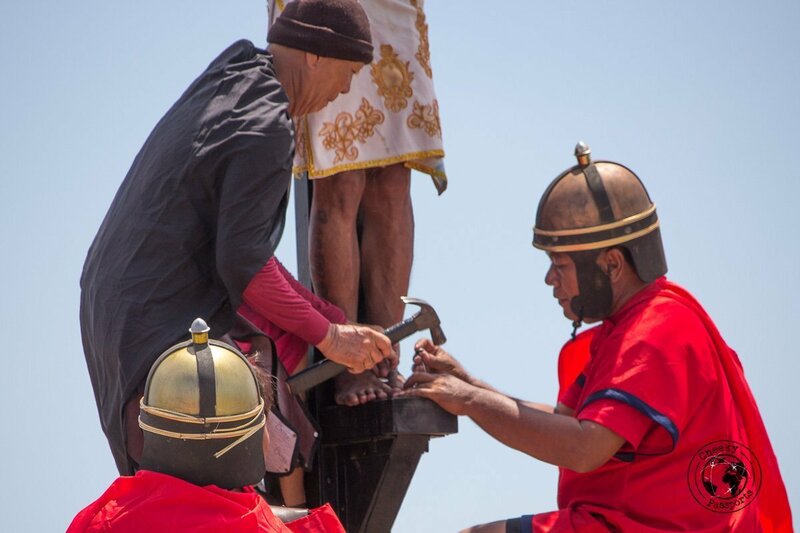 Christ and the thieves were tied to wooden crosses, but only Jesus was nailed; his skin was rubbed with what we presumed to be alcohol before sanitized nails were driven through his skin. The cross was raised and the pageant progressed with the soldier piercing Christ’s torso with the spear. To our relief, this wasn’t actually performed, but only re-enacted. 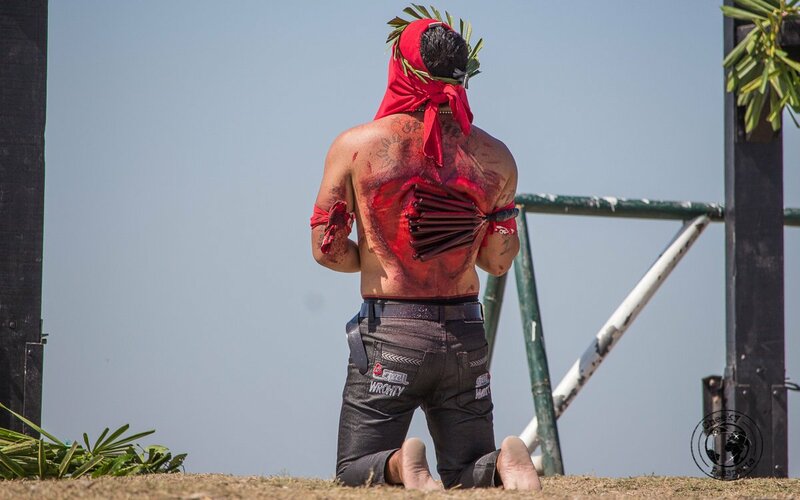 After about 10 minutes the cross was brought down and the nails removed, after which he was carried down the hill on a stretcher. His pierced skin was clearly visible. At this stage most of the audience, particularly foreigners, began to leave. We were also getting ready to move when we realized that it was not over yet. It was now the turn for ‘spare Christ’ and a couple of others to get crucified. The procedure was again repeated for three other men, who had however lost a lot of the audience. 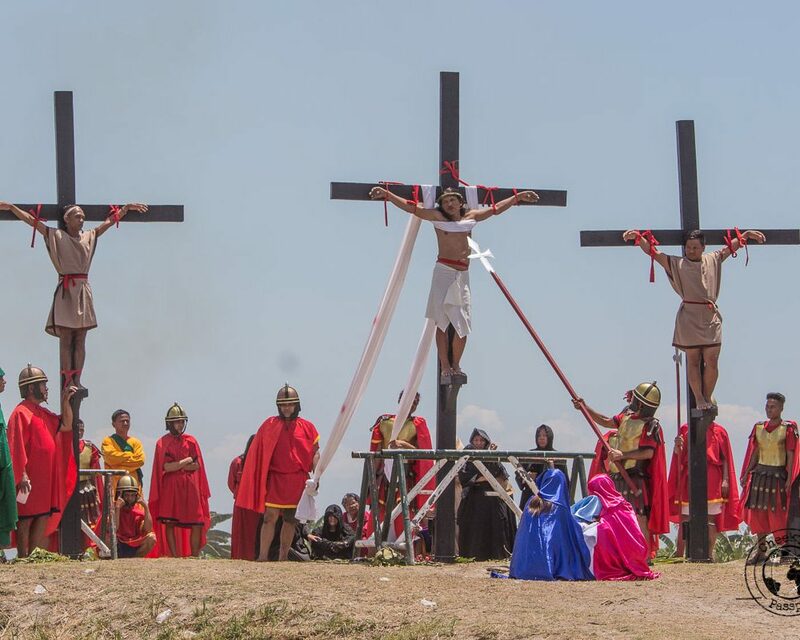 Without the drama of the previous re-enactment and less clutter around, three other people were nailed to the crosses in what turned out to be a tougher viewing than the first crucifixion. We couldn’t help feeling that the main Christ and to an extent also his double were somehow enjoying the drama surrounding the activity, despite having nails hammered into their bodies, but this of course, is only our assumption whilst observing the characters from the comfort of our plastic seats. I doubt that I will ever understand the self-mutilation approach to faith. We were informed that by means of these acts, penitents ask for forgiveness for their sins or use them to show gratitude for answered prayers. 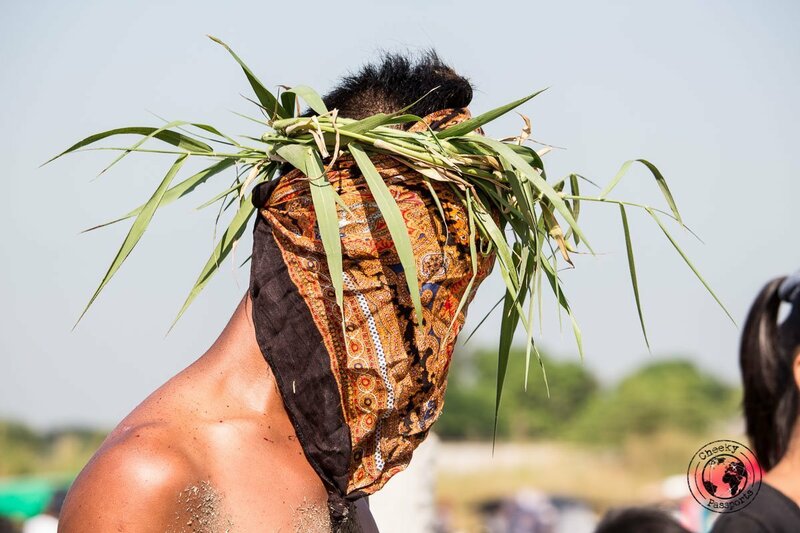 Whatever their reasons for taking part in the activity, most penitents seemed to leave the site with a smile on their face and a look of achievement, which perhaps makes their obvious suffering rewarding. Not quite my thing, but a very authentic experience to watch nonetheless! Thank you for your comment Kathy. Indeed it was difficult to understand what exactly we were feeling most of the time! But it was a very enriching experience nonetheless! What an experience! I would probably find it quite disturbing but also very humbling. I ve been wanting to visit for ages. After reading your post, I m abit apprehensive but would still like to experience. You actually incited my curiosity further. Thank you!